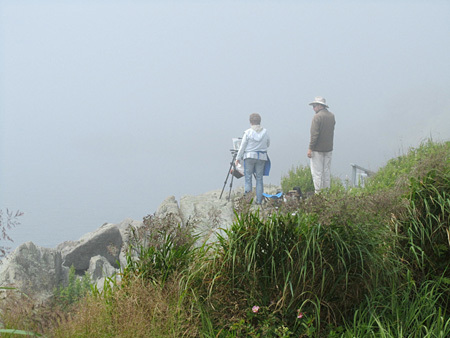 Took a plein air workshop on Campobello last week with artist Michael Chesley Johnson. Some days were sunny, this one wasn’t—I love the foggy days! 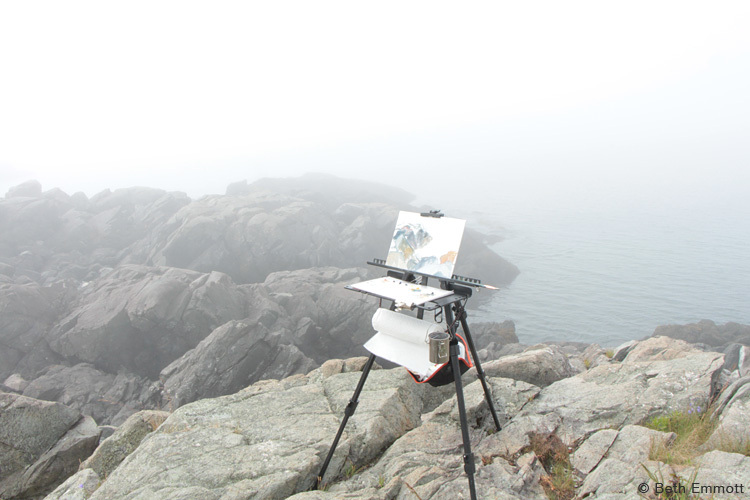 I anchored my easel into crevices in the rocks and had a wonderful time. When one scene misted away I started a close up of a rock that was in view. Took photos of the first as reference to finish back in my studio. This week was my first real stint oil painting outside—I learned so much! 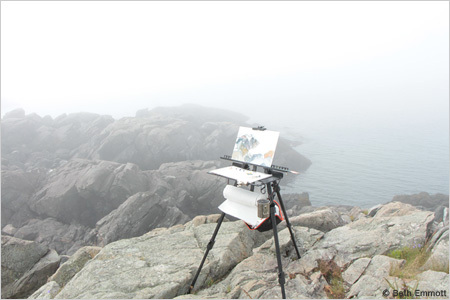 I will use this both for creating finished paintings and also as the ultimate sketching to inform other work.